Welcome to the UCCU Senior Insurance Education Center! Take some time to watch the videos on Medicare, Social Security, Long Term Care Planning and much more. Each topic also offers a full university where you are able to easily read about these important topics. Please let your dedicated UCCU Senior Insurance Specialists know how they can help you. 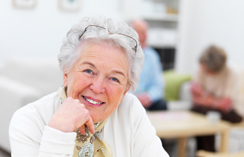 View our Medicare University videos for answers to common Medicare questions. Learn how Medicare works, what the different plans or “parts” are, and how you can choose right. Check to see if you meet all the requirements to be eligible for Medicare at this time. For more information and additional resources regarding coverage, eligibility and enrollment. We're here to help you understand your Medicare plan choices and find a solution that's best for you. 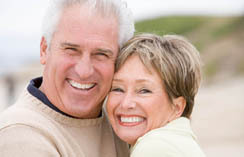 Medicare Insurance Benefits, Eligibility, and Coverage Information in an easy to understand format, including Medicare Part D (prescription drug plan), Parts A, B, and C, Medicare supplemental insurance, advantage plans, & more, all to help you understand and choose the programs that best fit your individual needs. Staying social reduces the risk of disability and keeps the pain and depression away. A Rush University Medical Center study reported higher levels of social activity are associated with a decreased risk of becoming disabled. Results showed that a person who reported a high level of social activity was about twice as likely to remain free of a disability involving activities of daily living than a person with a low level of social activity, and about 1.5 times as likely to remain free of disability involving instrumental activities of daily living or mobility. The Journal of Pain published a study that also showed social support reduces pain and depression. Being socially active can contribute to the increase in the quality and length of life. This website for UCCU Financial Group is powered by Trusted Benefit Solutions.© 2015 Trusted Benefit Solutions, LLC. All Rights Reserved.